We specialize in bed bug removal! We also specialize in mole control! Are you experiencing a pest infestation problem in your domestic or commercial premises and it is causing stress and damage? Then it’s time to call Edinburgh Pest Control Service. 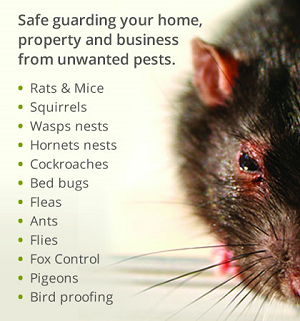 Based in Edinburgh we are specialists in pest control, rat control, bird control, insect control, rodent control, wasp nest removal and bed bug removal Providing a 24 hour, 7 days a week Professional Pest Control Edinburgh service, making sure we are always available to deal with your pest control problems. We are a growing pest control business, part of the browns pest control group. Working predominately within Edinburgh, Midlothian , West Lothian, East Lothian and Scottish Borders sector. In our current format we have been trading since august 2015 but have many years experience in pest control. For professional edinburgh pest control solutions at home or the work place, make your first call to us, assuring you the best service money can buy. Bed Bugs The presence of bed bugs in the home or within a hotel is an extremely distressing experience, we understand that prompt professional service is required. Moles This pest can seriously damage your garden,each mole creates their own huge network of tunnels and needs to eat their body weight in worms every day to survive.